Put the Pigs on Trial! Poster has a red background with light blue drawings and text. The top edge has "Put the Pigs on Trial!" in outline blue lettering. Below are three outline blue figures. The figure on the left depicts a man running with a bullet spliting his hair. The figures in the center and the right depict two pgis in police uniforms. They have hats with OPD printed in the badge. 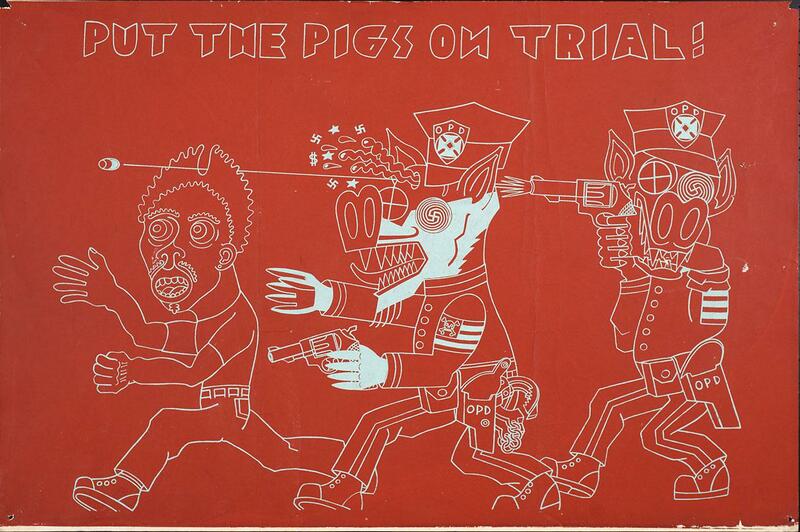 The last pig is shooting a gun in which the bullet has pierced the center pigs head.